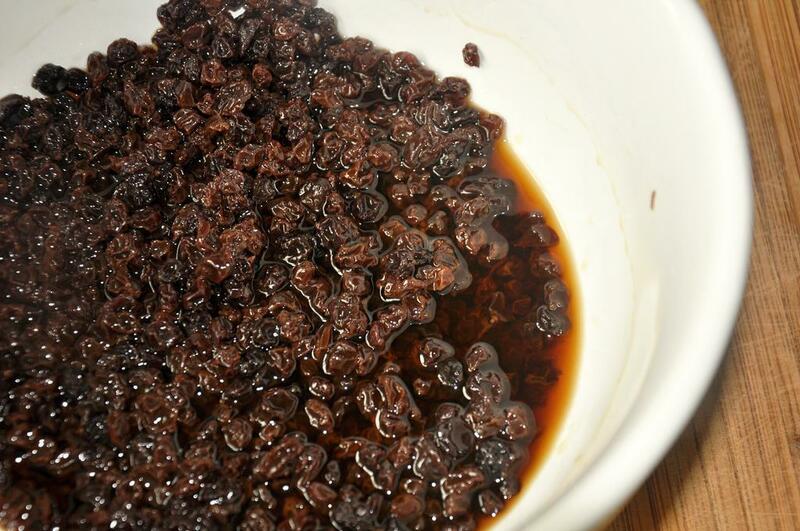 In a medium bowl, pour dark rum or orange juice over currants. Let sit 1-2 hours. Drain and set aside. 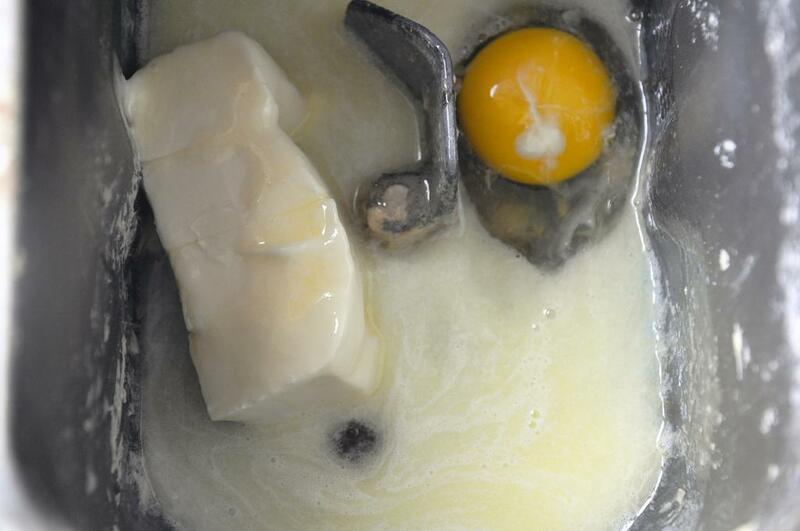 In a bread machine bowl, add wet ingredients (milk through egg). Then add 4 cups flour evenly over top. In three corners make little wells. Add yeast to one, salt to one and cinnamon and cardamom to the third. Cover over wells, and set the bowl in the bread machine. 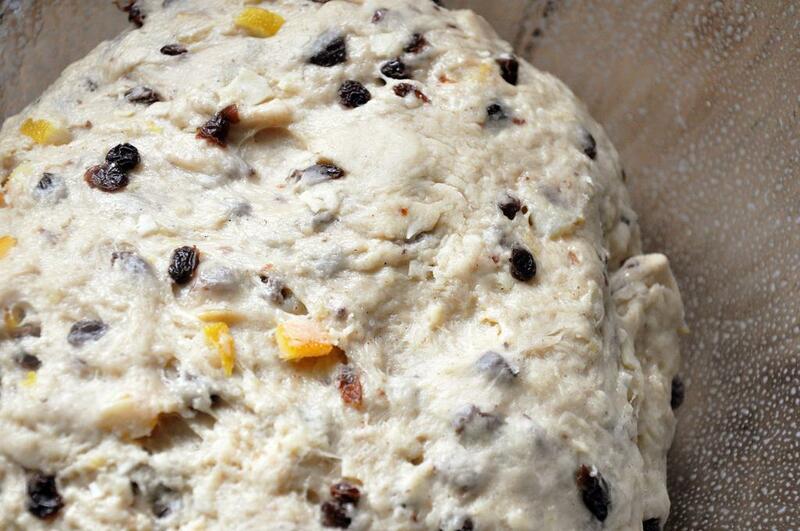 Start on dough setting. 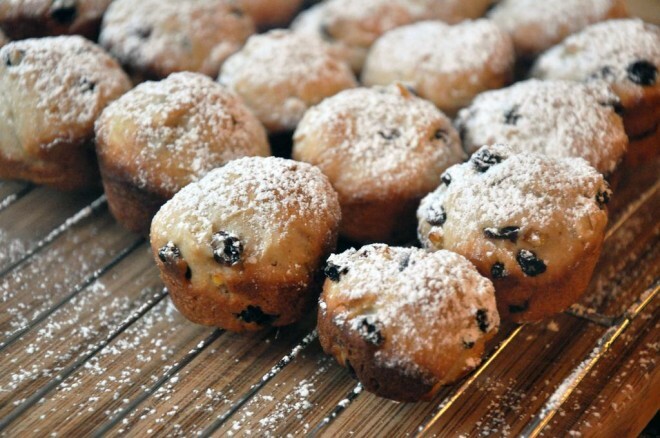 When complete, punch dough down and add drained currants, candied peels, almonds and remaining 2 Tbsp flour. 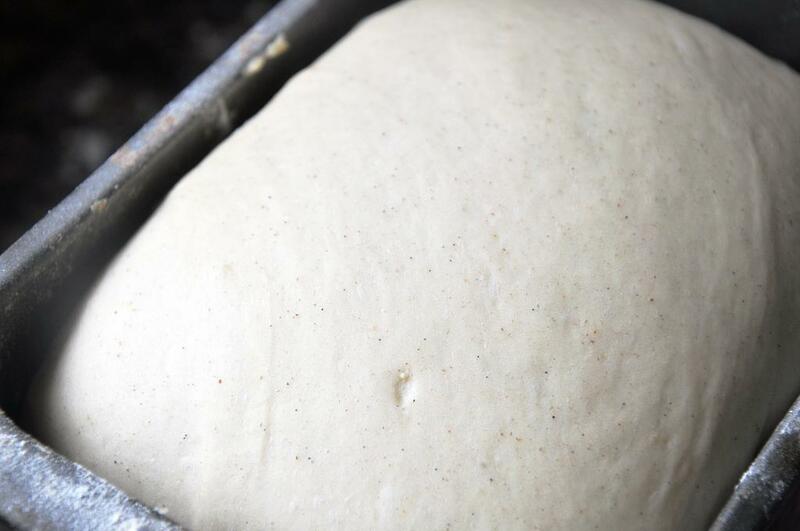 Restart on dough setting. After 5 minutes, stop and turn out onto a lightly floured surface and knead for a few minutes to make sure nuts and fruit are evenly distributed. Add dough to a large bowl sprayed with cooking spray, cover with a kitchen towel and put in a warm place for 1 hour to rise. 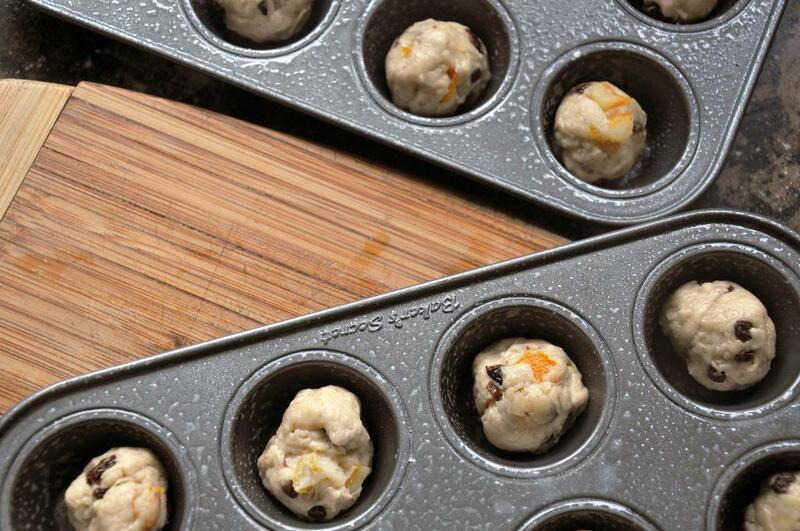 Divide dough into balls, and place in cooking spray lined mini-muffin cups. Put in a warm place covered with a kitchen towel for 30 minutes. Meanwhile, preheat oven to 400 degrees. Bake 10-12 minutes until lightly browned on top. Cool on a rack and then sprinkle with powdered sugar. Serve warm.